Steve’s breakdown: Last week we reported “Brand that will be needing work because of Harvey Weinstein” and here we are. We hope you jumped on this when we reported it. Here’s the story from US Weekly. 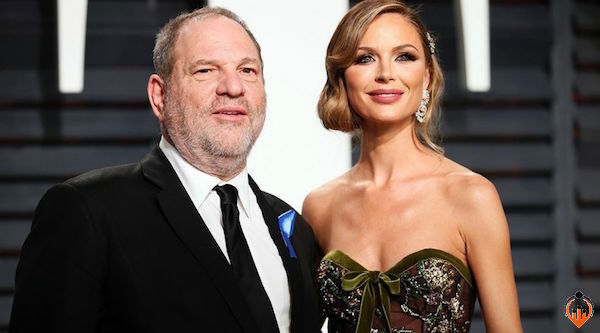 NEW YORK, NY: Georgina Chapman is seeking out support from crisis management professionals after numerous women have come forward with sexual harassment allegations against her estranged husband, Harvey Weinstein. The couple, who wed in 2007, share two children together, India, 7, and Dashiell, 4. Chapman has postponed her Spring/Summer 2018 fashion line amid the scandal and is leaning on her colleagues during this time. “Georgina is feeling so much support from the fashion industry,” the same source shares with Us. As previously reported, Weinstein was fired from his own company after The New York Times published a piece on Tuesday, October 5, detailing several accounts of sexual harassment and assault claims against him. Many celebrities, including Angelina Jolie, Gwyneth Paltrow, Heather Graham, Rose McGowan and Cara Delevingne, have given their own accounts about allegedly abusive encounters with the Miramax producer.